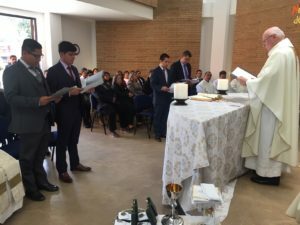 The Viatorian Community just added four new religious brothers over the weekend and the celebration among family members and Viatorians alike, was heartfelt. Br. Jhon Alexander Avellaneda, CSV; Br. 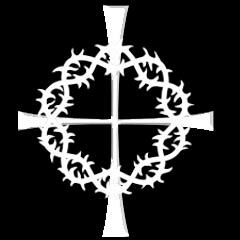 Edwin Alfonso Barreto, CSV; Br. Parmenio Enrique Medina, CSV; and Br. Juan David Ramirez, CSV, all returned to Bogotá for the Mass and vow ceremony, which took place Jan. 5 in the chapel at Colegio San Viator. Br. Avellaneda, Br. Barreto and Br. Medina all will return to finishing up their university studies, while Br. Ramirez will start his new assignment as a math teacher at Colegio San Viator in Tunja. 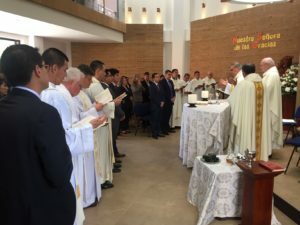 For the last year, they have been completing a year of formation at the Latin American Novitiate in Puente Alto, Chile, under the guidance of Fr. 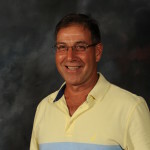 Eduardo Millan, CSV, their novice master. Their year in the novitiate consisted of an intense training process as strong preparation for religious life. Their studies included immersion into community, pastoral, spiritual and academic studies. 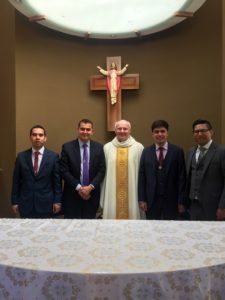 The vow ceremony was the first time in nearly 40 years that four novices professed their vows at one time, in Colombia, all of which was not lost on new Provincial, Fr. Daniel Hall.